The founder and director of MI Skin Dermatology and Laser Center, Dr. Melda Isaac has frequently been recognized among the area’s best top docs. She is a board-certified dermatologist in Washington, DC who specializes in both medical and cosmetic procedures. Dr. Isaac obtained her medical degree from Penn State University and completed her dermatology training at George Washington University Hospital. After her residency training, Dr. Isaac held academic appointments as Assistant Professor of Dermatology at Hahnemann University Hospital and the University of Pennsylvania Department of Dermatology in Philadelphia. She also held teaching appointments and servedas a consultant at Washington Hospital Center and Sibley Memorial Hospital in Washington, DC before launching MI Skin Dermatology Center. Evaluating and treating dermatologic conditions ranging from acne to sun damage and skin cancer. Renewing the skin’s radiance and texture using minimally invasive techniques such as state-of-the art lasers, radiofrequency, and ultrasound devices. Rejuvenating the face using neuromodulators such as BOTOX® Cosmetic and a range of dermal fillers including JUVÉDERM VOLUMA®, Restylane®, RADIESSE®, and Sculptra®. Dr. Isaac recommends cosmetic and medical dermatologic treatments to fit the needs and cosmetic goals of each patient. Dr. Isaac has been repeatedly recognized as one of Washington, DC’s “Top Docs” by The Washingtonian Magazine. I grew up in Allentown, PA, the youngest of five children. My father was a general surgeon and encouraged me to become a physician. Although I knew I wanted to become a physician when I was in college, I did not know I wanted to be a dermatologist until my third year in medical school. The dermatologists at my medical school were inspiring mentors. Why did you choose the field of dermatology? Dermatology offers an excellent balance of both surgical and medical disciplines. It allows me to treat all age groups and genders; it also allows me to utilize my creativity and artistic talents. Many skin issues are the window to underlying medical problems. Also, I was struck by the influence a person’s appearance has on their overall confidence. What brought you to Washington, DC? I was honored to be accepted to the George Washington University Hospital Dermatology Residency Program in 1991. When did you first start your practice, MI Skin? I founded my practice in 2001. Do you have specialized training in injectable treatments? 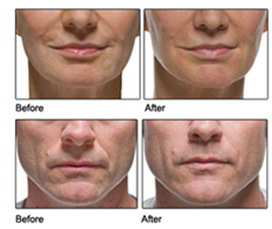 I first was introduced to injecting BOTOX for cosmetic use to reduce glabellar frown lines in 1995. It wasn’t until 2002, that I received my significant specialty training in BOTOX and Restylane in Vancouver, BC under the direction of Dr. Alastair Carruthers and Dr. Jean Carruthers. They are the actual founders and pioneers of using BOTOX for cosmetic indications. Since then, I have had an affinity for learning as much as possible about different applications of all neuromodulators and injectables. This is a fluid process. I continue to enjoy studying different injection techniques and styles, striving to achieve optimal results to prevent the appearance of aging and to restore a youthful, balanced appearance. Schedule a Consultation for a Cosmetic Treatment in Washington, DC Today! Reverse the signs of aging skin with the cosmetic dermatology treatment that’s right for you. To schedule a consultation with expert Washington, DC cosmetic dermatologist Dr. Melda Isaac, call MI Skin Dermatology Center today at (202) 393-7546 ! Next, read more about Cosmetic Dermatology.